Over Summer Jez has attended many events, receiving countless awards. 2 to be precise. 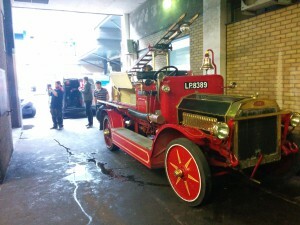 On the 16th of July, at the Uxbridge Auto Show Jez won the trophy for best public service vehicle, she then blew us away and won the Car Of The Show award. Overall a successful motor club outing. Next up was the Brooklands Reunion; while not technically qualifying as an ex-Brooklands racer the public cheered as David Cowin drove Jez up and down the embankment at a speed that can only be described as frightening and reckless. 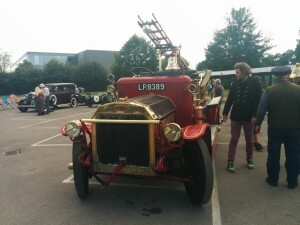 Jez was also placed in the ‘High performance’ category with some of the land-speed record breakers, a challenge she tried to meet. Tried…. 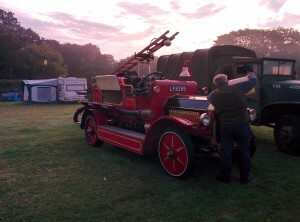 Then there was her longest journey of the year – the Isle of Wight Steam Show. We embarked early in the morning and made it all the way into Guildford before Jez decided she didn’t need one of her exhaust valve covers. With a loud bang she threw it out and the succeeding emergency breaking caused a 3 car pile up. This is if you describe a driver rear ending a car just hard enough to pushing it gently into out tender van a 3 car pile up. We soon dressed the the threads, reinstalled the valve cover, told Jez off, and got back on our way to the island. At the island Jez was as ever a hit with the public. The week was fun and Jez were graced by possibly her youngest mechanics thanks to the Weetman-Patter-Clan. The way back was less eventful but just as bumpy. 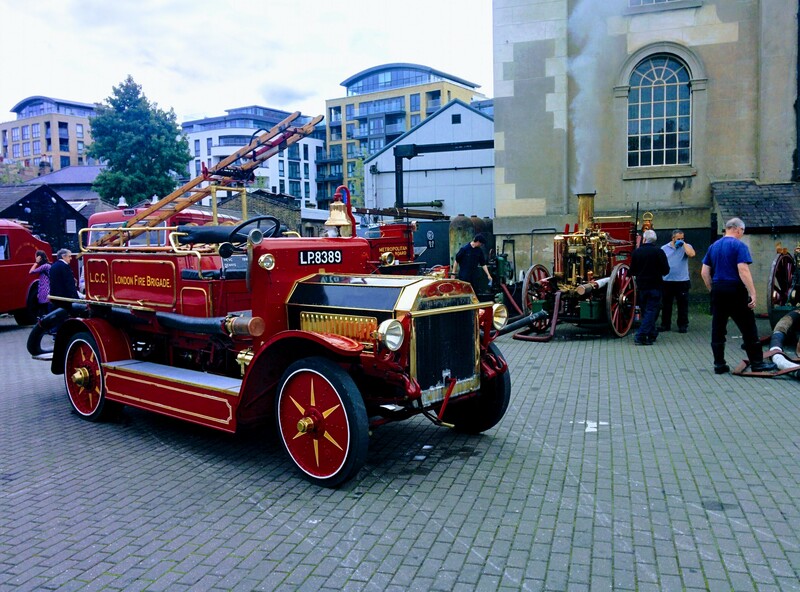 Next Jez went to The London Fire Brigade Museum’s Fire Engine Festival where Jez was the oldest of a large fleet of fire engines of all ages. 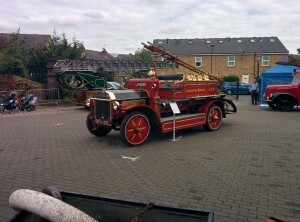 Finally for our summer events we have the London Museum of Water and Steam in KewBridge. We had lots of fun pumping with Jez and with a lovely Shand Mason steam pump. 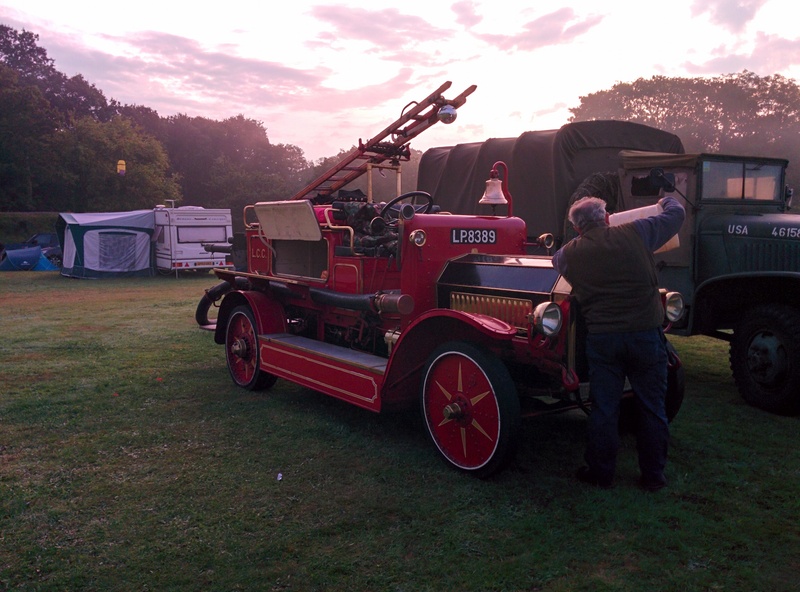 We slept next to a warm 90″ beam engine overnight in the museum and ate locomotive bacon for breakfast before letting more children give us headaches with Jez’s bell. And That was Jez’s summer, an eventful and exciting couple of months.